No ministry I know of returns bigger blessings than knowing you’ve helped one of God's children through Fathers in the Field. When you see measurable results in the life of a young person as a result of your efforts and God's divine guidance, you realize how important it is to impact today's youth for Christ. 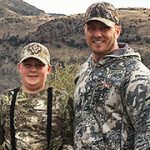 Zachary (Zac) Guy got an ear-full about Fathers in the Field from fellow Board Member Kyle Weaver while deer hunting in 2011 in the Montana woods. Zac knew it was a much-needed ministry and joined the board in 2012 to help address the core of many of America’s key social, emotional and spiritual issues – fatherlessness. To Zac, a big-hearted guy who loves camouflage pants just as much as a new suit, Fathers in the Field fills the gap absentee fathers have left so the ill effects of society don’t have a chance to infiltrate a young man’s heart. Zac’s desire is that the positive influence the ministry has on the abandoned boys will help guide them toward a God-centered life and the peace that only comes from forgiveness. With a passion for God, his family and the outdoors and a desire to leave things a little better than how he found them, Zac believes his investment in Fathers in the Field is a great way to serve God and honor His calling in life. There must be a special crown in heaven for godly men willing to pour their time, energy and talents into a fatherless boy. Fathers in the Field provides a trustworthy curriculum that consistently mentors a young man through very difficult times. Certainly God Himself is pleased to see these young men being trained up by their Mentor Fathers. A board member since Spring 2013, Evelyn’s first experience with Fathers in the Field was through a mutual friend. Evelyn was able to share her story of widowhood and the many struggles of raising a son without his father with the ministry’s Co-Founder Scott MacNaughton. Evelyn witnessed the loss and struggle first-hand since her son, Matthew, became fatherless at the age of seven when his astronaut father, Commander Rick Husband, died during reentry of the Space Shuttle Columbia. Through this devastating loss, Evelyn has a tremendous heart for fatherless boys who are trying to navigate without their dad. Evelyn’s goal is to see as many boys as possible paired with Mentor Fathers. From her perspective and experience, Fathers in the Field provides a trustworthiness and consistency important to a young man and his mom. 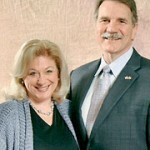 Evelyn knows how profoundly challenging it is to provide a balanced home with just one parent. She appreciates how Fathers in the Field helps offer a balance to enable boys to identify and pursue their dreams with a strong relationship with Jesus Christ. The effect a fatherless home has on the future of a boy as he progresses through life is detrimental to every part of society. Men should be the provider, the protector and the pastor of the home…If the thousands of young men who are abandoned by their fathers are not taught and modeled this through men serving in the local churches and as Mentor Fathers, it will not happen. Kyle Weaver has been a faithful member of the Fathers in the Field Board of Directors since the ministry’s inception in 2005. The vision of his closest friend and mentor, John Smithbaker, for sharing the love of Christ to fatherless boys captivated Kyle, as he lived with his own personal wound of having grown up without a father through divorce. He places utmost importance on this ministry he believes, had he had the opportunity to be mentored at a young age, would have made him “a better man, father and pastor of my home.” Kyle’s burden is great for the thousands of boys left to figure it out on their own. The time he spent outdoors with his grandfather, sports and the grace of God are the things Kyle attributes to his survival and success. He believes enabling young boys to find themselves and God in the outdoors and through community service projects are the greatest things Mentor Fathers can do. Through all of this, Kyle’s desire is for Field Buddies to understand the love of God and build a foundational relationship with Him that carries them through life and the hard times ahead. 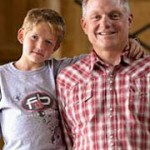 Countless fatherless boys seek role models, spiritual leaders and father figures who care. Fathers in the Field equips godly men through Christ’s church to “Stand in the Gap”, providing mentorship and discipleship to fatherless boys through hunting, fishing and other various outdoors experiences. Josh was introduced to Fathers in the Field in 2015. After listening to a podcast message from a Colorado based church that implemented the Mentoring ministry and witnessing the impact, he called to learn more about Fathers in the Field. Within 2 hours, he received a call from Founder John Smithbaker. 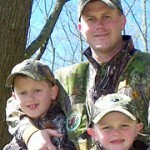 Josh knew immediately Fathers in the Field would impact his life and countless others. He believes Fathers in the Field can help men step into the lives of fatherless boys. Josh believes this ministry breathes hope, mentorship and spiritual leadership into the lives of fatherless boys. The oldest of three boys, Josh grew up in a broken home with his mom, step-father and two brothers. Although he saw his father two weekends per month and lived with his step-father, he didn’t have the spiritual leader, pivotal role model and father figure mentoring and guiding him from boyhood to manhood. After high school graduation, Josh enlisted in the United States Air Force. Upon completing his first term, he transferred into the Arizona Air National Guard and concluded a 10 year career as an Aircraft Maintenance Officer. During his military service, Josh sought out mentors and learned from good male role models. To this day, Josh remains in contact with the men who poured into him. In 2009, Josh recognized a void in his life, which couldn’t be filled with material items or money. At that point, he put his trust and faith in Jesus Christ and changed the course of his life. Josh accepted responsibility as spiritual leader, role model and engaged father of his three children. He also saw the importance of forgiveness and forgave his father for leaving. Josh’s goal is to impact fatherless boys through his story, experiences and sharing God’s unconditional love. He wants them to know there is hope, and though their earthly father maybe absent, their Heavenly Father is present and loves them unconditionally. The need (to minister to the fatherless) is great. Don't worry about being a perfect Mentor Father or Church Champion. Just jump in and trust God to use you. You will be blessed and rewarded for your faithfulness and most importantly, you will be investing your time in a life that, without your intervention, might be otherwise lost. 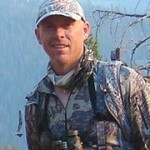 Marc joined the board of Fathers in the Field in 2011 after being introduced to the ministry through Founder John Smithbaker, through their mutual work in the hunting industry. Marc was compelled to serve after John shared with him the magnitude of the fatherless problem in our country. For the avid hunter, life used to be about trophies, pushing his limits and stockpiling worldly accomplishments, but when Marc turned 50, his life took a turn. He realized how fast life was passing by and how little the things he held in such high regard mattered in the end. Marc’s involvement in Fathers in the Field is helping him pursue “trophies” with eternal value. Marc understands how deep the wounds from abandonment can be by watching his wife deal with the emotional scars of growing up without a father. Through his wife’s experience, he’s witnessed the damage of fatherlessness and the healing that can come by the grace of God. We are giving abandoned boys the Father/Son outdoor experience they’ve never had, and in doing so we introduce them to the true hope that comes only through the love of Christ and an adventure that can only be found in God's great outdoors. 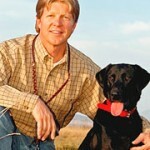 As an avid outdoorsman working in the industry, it was a perfect intersect of John’s passions and pursuits. Although he held the reigns of an international conglomerate, but couldn’t get a grip on his insatiable longing to reconcile the pain, rejection and lack of approval from a father that deserted his family.